do they have nice cooked food there? Yes, please. Where's this from? Looks like chu-toro or something. Isetan? I love their sushi. maybe the human ear isn't good enough. we need measurements, figures, numbers, calculations to tell and convince us what good sound is. or do we have to satisfy an unspoken insecurity?? I enjoy Akashi at basement of Paragon for its Omakase dinner (around $120ppax) which I believe is fairly good value. 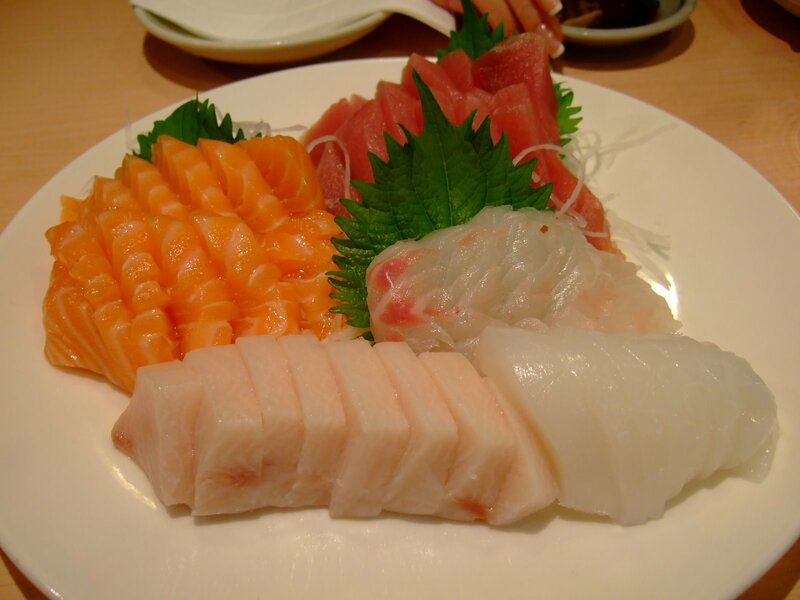 This includes a good spread of fairly large cuts of sashimi (otoro, sweet prawn, salmon belly etc) + another 4-5 courses which the chef will prepare. Especially like the korobuta pork with thin udon soup. For the more money conscious, but maybe less food/ quality, I find the omakase at Nara to be pretty good. only $55 ++, last time I went. Actually this is quite hilarious. If you go on to the HK websites, there are people who are mocking these restaurants who previously were proud to say/ imply that they had the freshest fish from Japan as during the crisis time they stated that all the while their fish was from other sources LOL!! Ha ha! what can I say- my midriff tells the whole story. 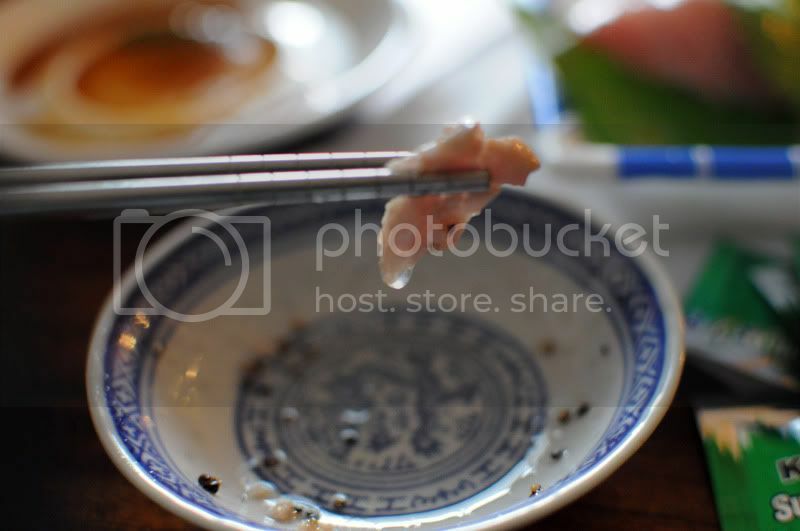 Please do not post that you cooked that lovely sashimi!! 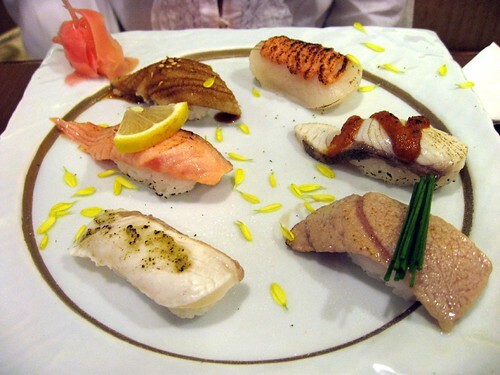 There is such a thing as Aburi Sushi- which I also love. Actually even for normal sushi, I prefer the rice to be a little warm and the fish to be very cold. Seems to add a certain shiokness. I've never been to Japan so I wonder if this preference is a big no- no or not? Yes, in japan, the rice is just slightly warm and fish is very cold. The chefs make a sushi very fast to avoid handling the rice n fish too much else heat transfers from the hand to the sushi. Sitting at the counter watching the sushi chefs prepare your meal is most satisfying. Tks bro, glad to see the Japanese have (my) good taste- LOL! Me no fan of raw stuff but my wifey loves her sashimi. Over e weekend, we tried this Japanese restaurant in the basement of Parkway Parade. yup i cooked it, but only one slice each slice averaged about $9. aburi sushi is the closest to raw food that i eat, and i prefer it well "torched"
That's Sakuraya... their other branch is at West Coast plaza. They also have a restaurant in Anchorpoint (different pricing...).